A MALAYSIA Airlines plane has returned to Melbourne after a passenger reportedly tried to enter the cockpit, claiming to have explosives. 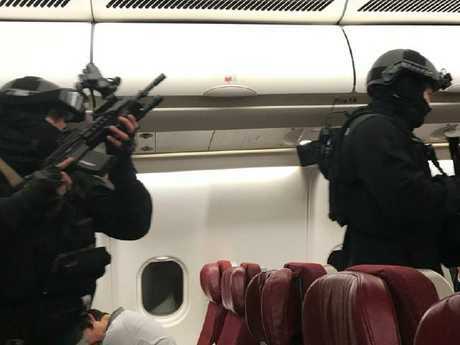 Brave passengers tackled the alleged attacker about 20 minutes into their flight from Melbourne to Kuala Lumpur and the Airbus A330 landed back at Melbourne Airport at Tullamarine without anyone being hurt. The Malaysian Government said he was a Sri Lankan national and that the device he had "was not a bomb but a powerbank." MH128 left Melbourne for Malaysia at 11:11pm and reached 6400 feet (2000 metres) before turning around and landing at 11:41pm. Australian Federal Police boarded the plane to check that there was no bomb. Police do not believe the bomb threat was terror related. The man allegedly responsible is in custody and being interviewed by AFP and Victoria Police. Police understand the man has a history of mental illness. Supt Tony Langdon, from NW Metro, said the "device" the man was holding was "obviously not an explosive device" but would not go into detail. He said members from the Special Operations Group detained the man after the flight was turned back to Melbourne. "Approximately four kilometres out from Melbourne Airport a male from economy has left his seat and shouted that he had a bomb and tried to move towards the cockpit area," Supt Langdon said. "It appears he tried to gain access to the cockpit and was restrained by passenger and crew. "The pilot had then invoked their emergency procedures and returned the aircraft to Melbourne Airport," he said. "We now have that passenger in custody and he is being interviewed by AFP and Victoria Police." Melbourne Airport currently has one runway in operation with delays expected through the morning. The Malaysia Airlines plane has been moved to a secure area. Melbourne Airport was on lockdown but at around 2:30am it started accepting arriving and departing flights. Incoming aircraft had been diverted to Avalon Airport. Passengers who were onboard MH128 however are still in Melbourne Airport with their bags still on the flight. 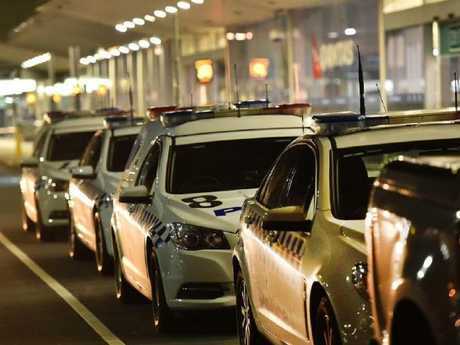 Victoria Police Senior Constable Adam West said police were called to Tullamarine around 11:40pm last night after Malaysia Airlines requested assistance. "It is alleged that a man tried to enter the cockpit and threatened the safety of passengers and staff," he said. "The man did not gain entry to the cockpit. The man was subdued and a safety plan was enacted." "There appears to be no imminent threat to passengers, staff or public and the investigation is ongoing," he said. A passenger who identified himself as Andy told 3AW how he tried to stop the alleged bomber. "We literally took off, ten minutes into the take off, and I was sitting in business class 4A seat, and I could hear this idiot saying that he wanted to go in and see the pilot," he said. "The staff were saying 'sit back down sir, sit back down sir'. He goes, 'no, I'm not going to sit back down - I'm going to blow the plane up'" he said. "The staff screamed out 'I need some help, I need some help'. So I jumped up, undid my buckle, and approached him." "I said mate, what are you effing doing? And he said 'I'm going to blow the f**king plane up, I'm going to blow the f**king plane up. And I was going, oh my God, he's f**king insane. "So, I took a step back. And I said to my friend, mate this guy's serious. We'd better f**king do something," he said. "So, I approached him and he ran down the side and then he ended up going down the back of the plane." "Then two lads grabbed him and disarmed him and mashed the crap out of him and put hog ties on him and took the giant black thing out of his hand," he said. Andy says the device in the man's hand was "the size of a watermelon". "It was huge, it was black and it had two black antennaes coming off it, but it also looked like an iPhone jack. So it could have been just a beatbox thing," he said. "I think the guy was just an idiot". Saiqa Chaudhery, whose husband was on the plane, told news.com.au that the man appeared to be under the influence of drugs. "He heard a lot of screaming and (an) airhostess calling out for help as a passenger attacked her," Ms Chaudhery said. "Some other passengers and crew tied the man down and (the) flight landed back at Melbourne Airport 25 minutes after takeoff." Joy and John Grant arrived at the airport at 2am for their 5am flight to Dubai. "When we came we saw the airport was empty," Mrs Grant said. "No one has told us anything." The couple were told by another passenger to expect delays of up to five fours for their Emirates flight. Delays are expected all through the morning as the airport recovers from the closure. Passengers were being permitted through security but customs still had not been reopened shortly before 4am. Two teenagers on their first international holiday told their parents of young children screaming as a man threatened to bomb their Malaysia Airlines flight. Best friends Mikaela Scandizzo and Ashlee Berkec, both 19, refuse to get on another plane after a man held up their flight right near them. Their parents were at arrivals waiting for their daughters, who were being debriefed and interviewed by police at Gate 7 inside the airport. "We're still shaken but tired as well," Mikaela said. She said two young men in their 20s, both wearing board shorts, tackled the man as he ran up the aisle. Ashlee told her mum she would not get on a plane again despite planning their Thailand holiday for months. The pair borrowed someone's phone after leaving their belongings on the flight and told their parents the man had grabbed a woman and a child before they say he was tasered. Malaysia Airlines released a statement that said the flight was diverted due to a "disruptive passenger" but denied it was an attempted "hijacking". "Malaysia Airlines flight MH128 of 31 May from Melbourne to Kuala Lumpur was forced to turn back to Melbourne due to a disruptive passenger. 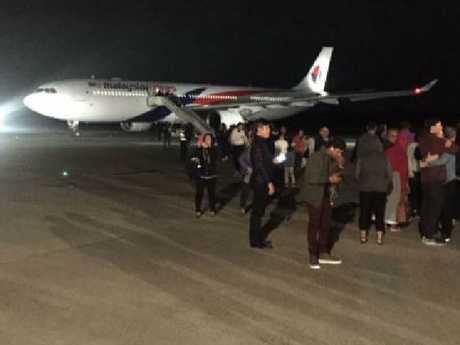 "MH128 departed Melbourne Airport at 11.11pm and was to arrive Kuala Lumpur at 5.28am on June 1 made a turn back to Melbourne after the operating Captain was alerted by a cabin crew of a passenger attempting to enter the cockpit," the statement read. "MH128 safely landed in Melbourne Airport at 11.41pm. The aircraft is currently on the remote bay and waiting for security assistance to arrive at the aircraft." 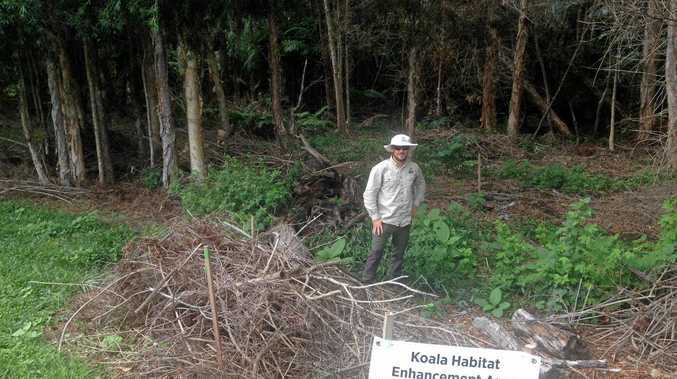 "Malaysia Airlines together with the Australian authorities will be investigating the incident. "Safety and security are of utmost priority to Malaysia Airlines. The airline wishes to apologise for the inconvenience caused," the airline said. "Passengers have safely disembarked the aircraft and will be screened by Australian authorities. They will be accommodated at hotels and offered on the next available flight or on other carriers." The incident is the latest in a string of incidents to hit the airline in recent years. The Star reports Malaysia's Deputy Transport Minister Datuk Seri Aziz Ab Kaprawi said the device the man was holding was not a bomb. "It was not a bomb but a powerbank," he said. He said the passenger was a Sri Lankan national and was drunk. "Malaysia Airlines practises a high level of security and safety, so they turned back. The crew managed to handle the passenger and once they landed, they contacted airport security to have the passenger removed," he said. "I have no information yet as to whether the plane will be taking off again soon, but it is believed that the suspect is a Sri Lankan national, and that he was drunk."